the first Sonos in-ceiling & in-wall speakers are here! Most of us love music and want to get the best possible sound quality, but sometimes traditional bookshelf or floor-standing speakers simply do not fit the space or with the decor in the room. 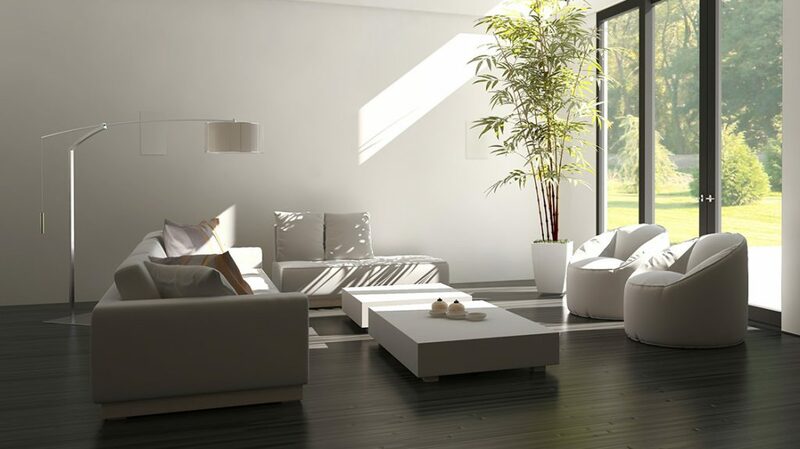 Now, with the introduction of Sonos’ latest range of architectural in-ceiling & in-wall speakers, we truly believe Sonos have hit the sweet spot of discreet audio to fit any room or decor. When paired with Sonos Amp, we believe there is no better combination of listening choice as well as boasting cutting edge technologies. The Sonos architectural range sit completely flush in either the wall or ceiling and you’d hardly notice they were there (you may have needed to look quite hard to find the speakers in the picture above!). 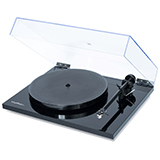 We think this is the pinnacle of aesthetic audio and if you are really serious about your music sounding great and looking great, look no further. Of course, if you’ve got a Sonos system already, these will integrate right in with your existing set up. 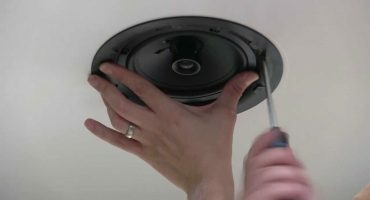 How do Sonos in-ceiling / in-wall speakers work? 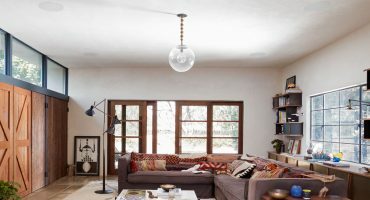 As they are passive speakers, they need to be powered by the Sonos Amp or Connect:Amp using speaker cable that runs behind the walls and ceilings. But once they’re installed, they’re installed, and you’ll never have to touch them again. As access is needed behind the walls and ceilings, the opportune time to install them would be during an extension or the construction of a new house. The Sonos Amp requires mains power and access to your WiFi network, but these can be stored away in a cupboard out of view. Once everything’s installed, all of your music control will be dealt with wirelessly using the Sonos app on your phones, tablets and PCs. Here, you’ll have access to over 80 music streaming services including radio, podcasts and audiobooks at the tap of a button. You’ll be able to group music on multiple Amps or have individual music playing through each Amp. This is perfect if you’re looking to get music to every room of your home. Why use the Sonos Amp with Sonos in-ceiling / in-wall speakers? 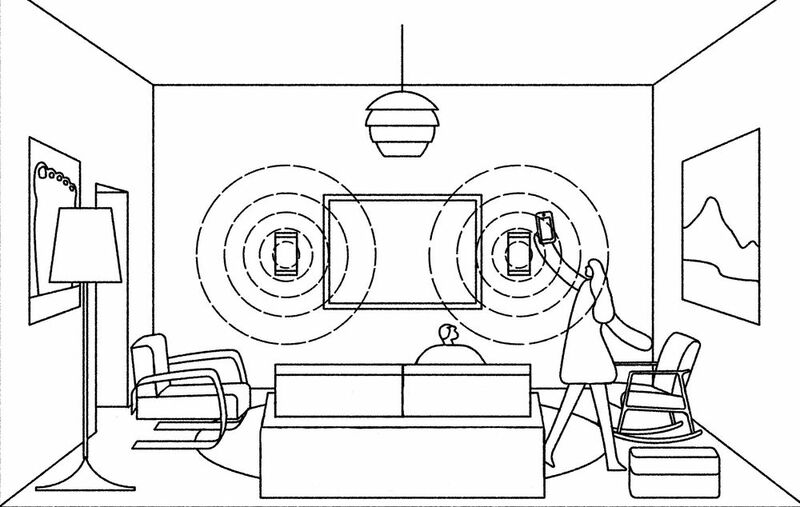 Once the Sonos indoor architectural speakers are wired into Sonos Amp (Sonos recommends a 16 gauge or thicker speaker cable), a sine wave is sent over the speaker cable to the speakers. This allows Amp to read the unique impedance values at specific frequencies the architectural speakers generate. 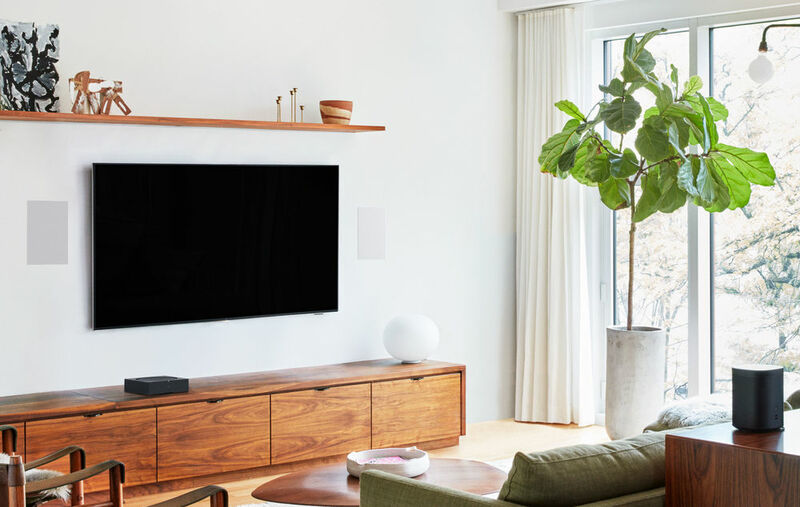 Once these values have been detected, Sonos Amp cleverly corrects the DSP (digital signal processing) for the number and type of speakers connected to Amp.When the Sonos Amp is paired with a Sonos architectural speaker, it unlocks TruePlay tuning for your in-ceiling or in-wall speakers. This makes them spatially aware of the room they’re in and optimises the sound using feedback from the walls, furniture and layout of the room. This is a world-first for architectural speakers paired with an amplifier. All that’s required is the Sonos app on a smartphone or tablet. 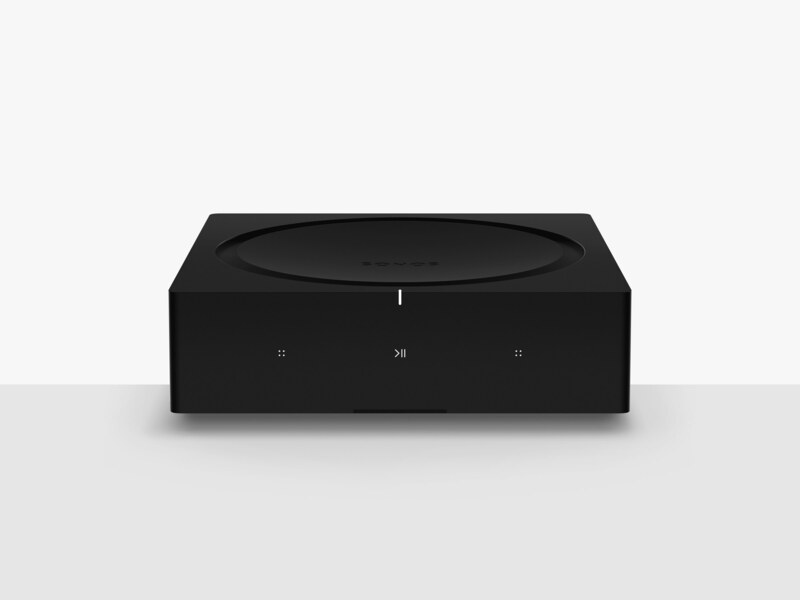 Please note if you have connected your own wired subwoofer (instead of using Sonos’ wireless Sub, or no sub at all), TruePlay won’t be available. This is a world-first for architectural speakers paired with an amplifier. 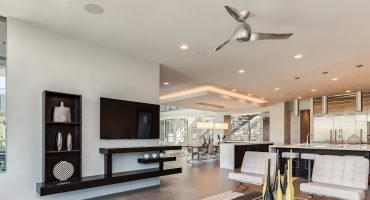 FAQ: Can I play my TV audio out of the Sonos in-Ceiling & In-wall speakers? Using in-wall or in-ceiling speakers as the front left and right TV speaker provides an aesthetic alternative to using a soundbar for boosting your TV audio volume levels. It’s so simple to set up too. 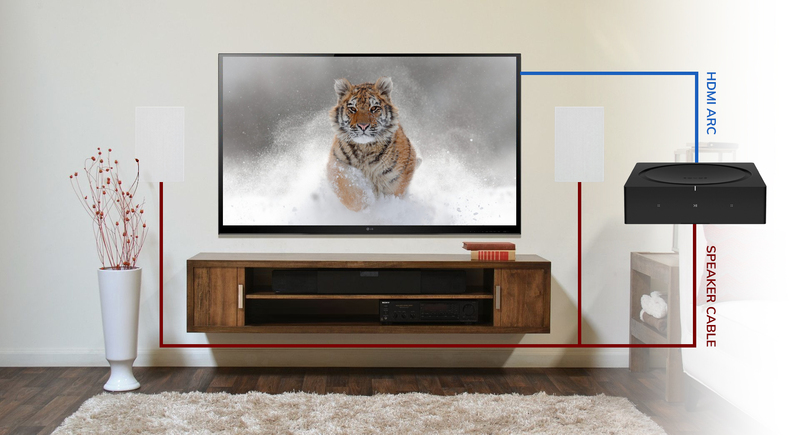 All you need to do is connect the Sonos Amp directly to the TV via your TV’s HDMI-ARC connection. Then you’ll just need to tell the Sonos app how you’re using the Sonos Amp - is it for rear surrounds, front stereo pair or for music only? If your TV does not have an HDMI-ARC connection, you can get an HDMI to optical converter and use the TV’s optical input instead. The Sonos Amp also has an IR receiver, allowing you to pair your existing TV remote with the Amp for volume control. This has the dual benefit of not needing to use the Sonos app every time to turn volume up and down, and you can keep using the same TV remote you’ve always used. Got a Sonos soundbar already? You can add a Sonos Amp with a pair of in-ceiling or in-wall speakers as rear surrounds for an aesthetically-pleasing surround experience. 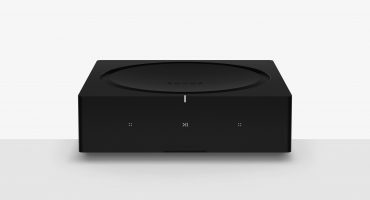 The new Sonos Amp supports AirPlay 2, allowing Apple users to cast any audio straight from their device to the Sonos Amp and ultimately the connected speakers. This is ideal for regular YouTube users. You can then group this audio to ANY other Sonos speaker you have in your home. The Sonos Amp is fully integrated with Amazon Alexa voice control, meaning Spotify, Amazon Music and Deezer customers can start music playback on any Sonos zone. Both in-ceiling and in-wall speakers are aesthetic and blend into the environment seamlessly. 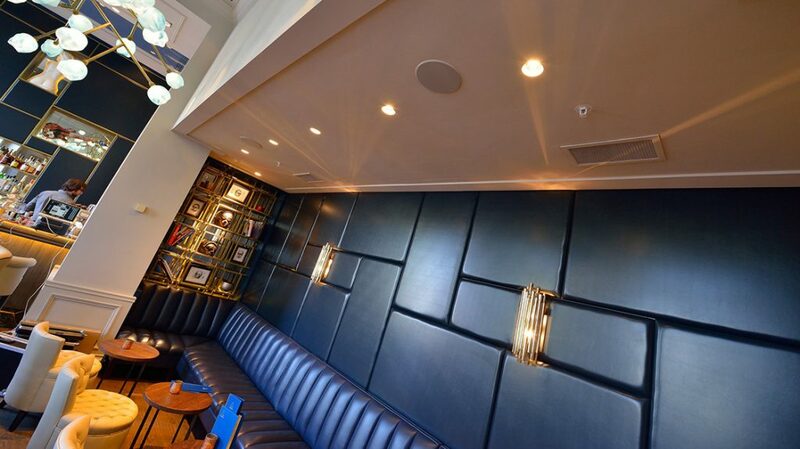 The in-ceiling speakers come with round, paintable grilles, with the option of installing square grilles. The in-wall version also has paintable grilles, though you will only get square-shaped ones. Our recommendations may be slightly different, depending on whether you’ll be using these speakers for music only, or if you want the option to listen to TV audio out of them too. Ceiling speakers are great for providing background music listening and getting audio to areas in the middle of the room where there are no nearby walls. On the other hand, in-wall speakers being at natural listening height would provide a superior experience to ceiling speakers when watching TV. That’s why if you’re going for a dedicated music set up, ceiling speakers provide the most discreet solution and fills the space more evenly as audio can be heard from within the middle of the room. In-wall speakers are best used if you want the ability to listen to both TV and music. 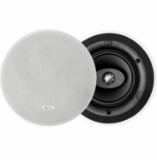 Specifications of both in-ceiling and in-wall Sonos speakers are indetical : Two drivers (1-inch tweeter, 6.5-inch woofer), 8 ohms, handling 130 watts maximum power, and 89dB SPL sensitivity. Frequency response on both models is identical @ 44Hz to 20kHz. Who do we recommend in-ceiling / in-wall speakers to? - Customers considering a home extension or homes in first fix stage where access behind walls and ceilings is much easier. Installing speaker cabling can even add value to your home! For customers wanting to combine near to invisible speakers with immersive sound quality, there really is no better option out there. Pair any of the Sonos architectural speakers with Sonos Amp and you benefit from the easy-to-use Sonos system and the ability to customise the sound to the environment with TruePlay tuning. So if you have a project where you think architectural speakers would be a great fit, we’d love to hear from you! We provide free, no-obligation advice and can make personal recommendations for your project as well as an indication of cost. Talk to one of our friendly advisors today! Sonos in-ceiling and in-wall speakers, by Sonance will be released on 26th February 2019. All orders of the Sonos architectural range will receive a free 6 year warranty.